Another adorable photo session for the books! This little one loves exploring and getting speedy rides in her wagon - there are so many photos of her wide eyes and toothy grin that I had a hard time choosing between them all. We had so much fun going to several different locations, and she was a trooper the whole time. 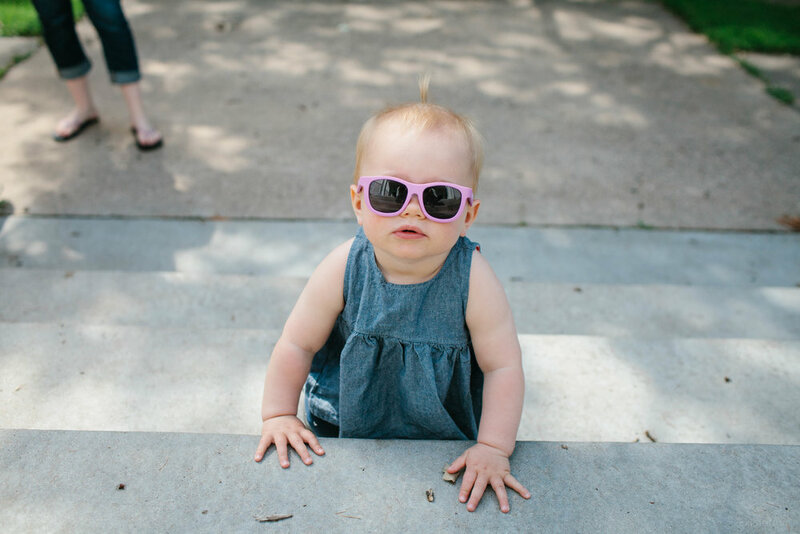 I am loving this summer of catching up with old friends while taking pictures of their ridiculously cute children. Thanks for a great session, Schaefer family!